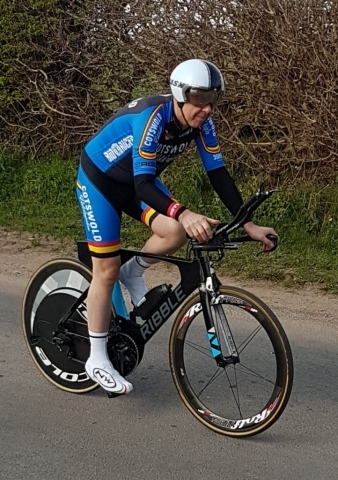 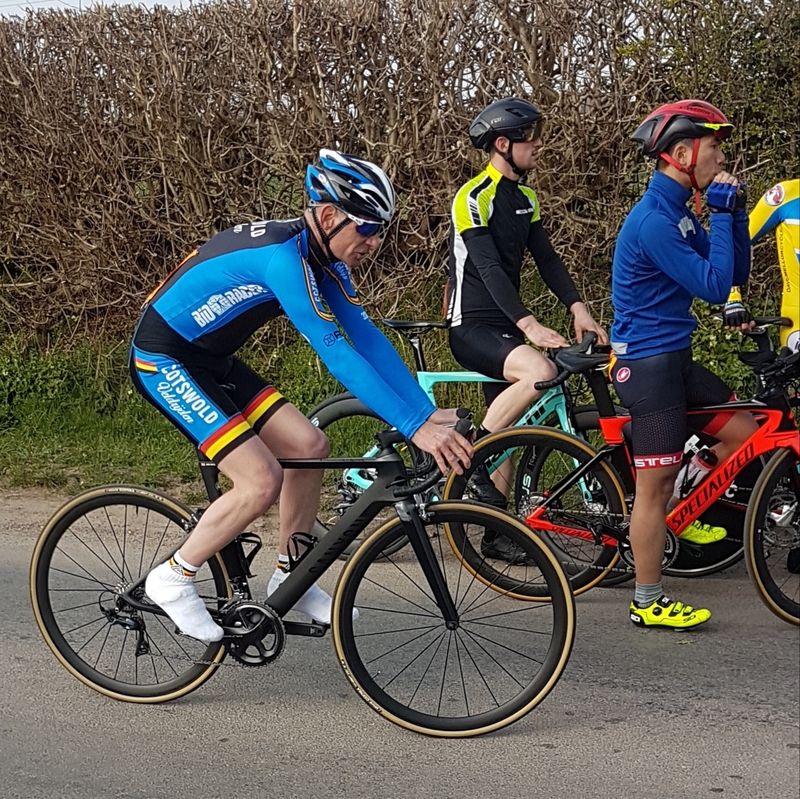 Chris Halford demonstrated a keen return to racing with a superb win by nearly a minute and a half ahead of a 52-strong field at Waters Upton as riders fought both a strong headwind and bid a less than fond farewell to the ‘Peplow pavé’ in round 2 of the SB Sports Injuries Series. 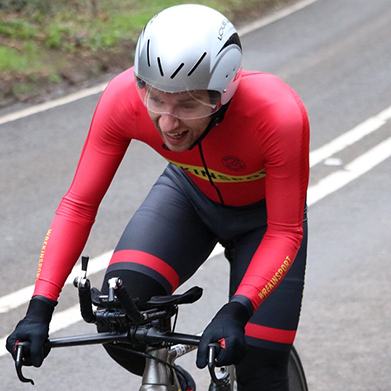 The 2018 Bronze medallist put up a blistering ride of 21 minutes 42 seconds to beat 2018 Silver medallist Ed Middleton by 1:28 and set out his Championship challenge – but not waiting for the full result to come in Halford thought he’d had actually had a poor ride thanks to faulty equipment. 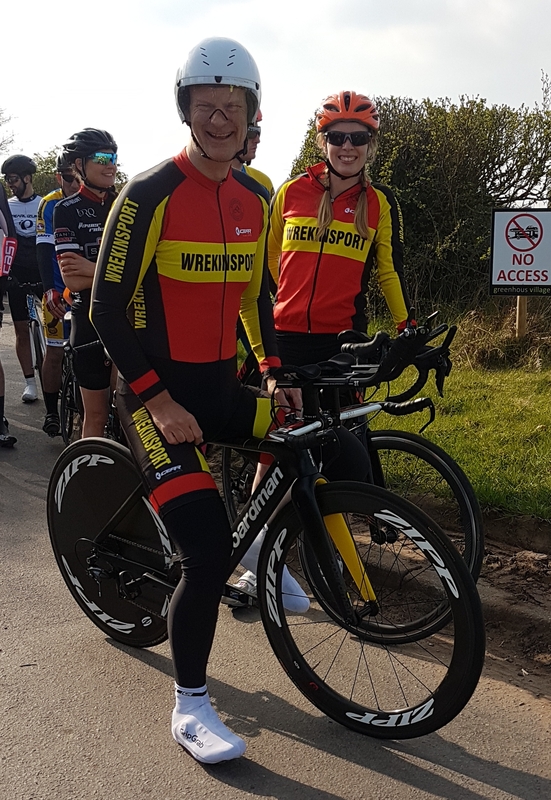 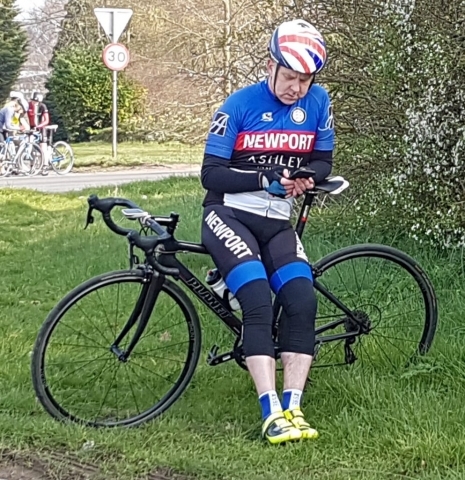 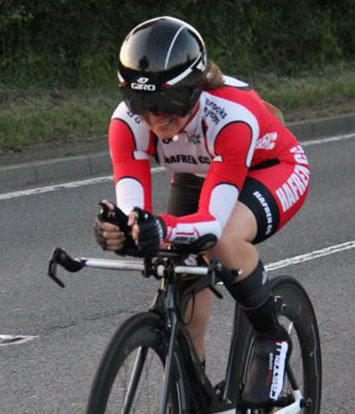 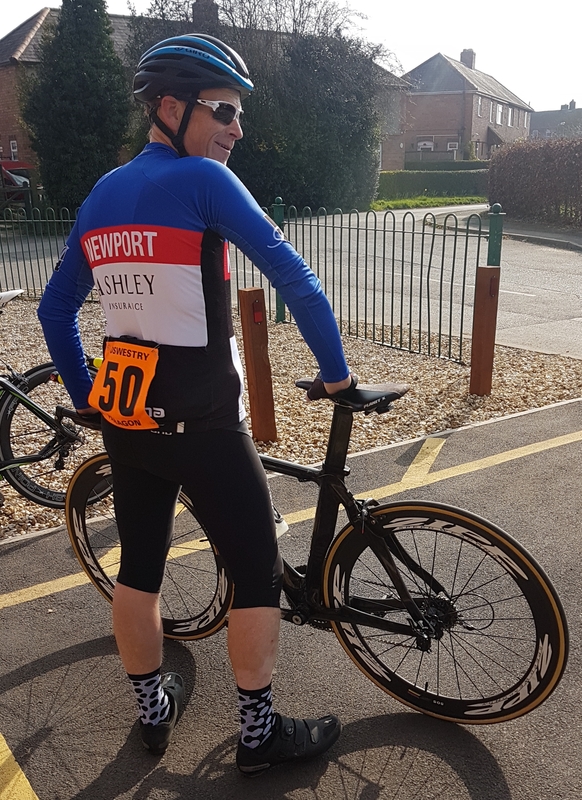 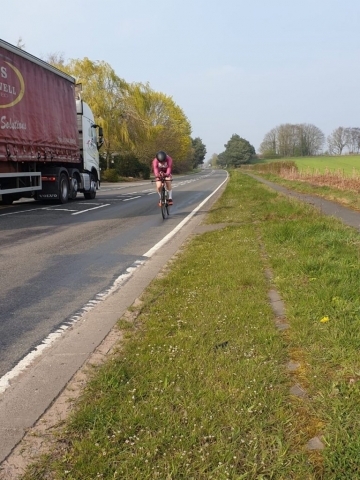 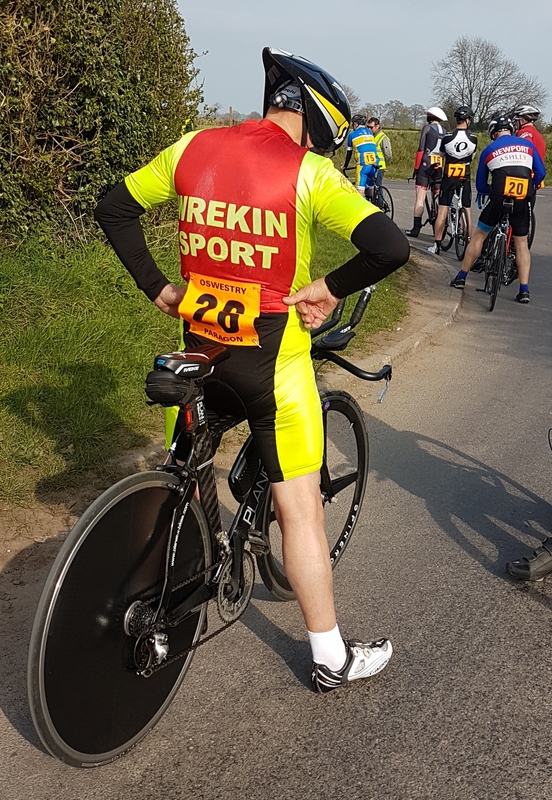 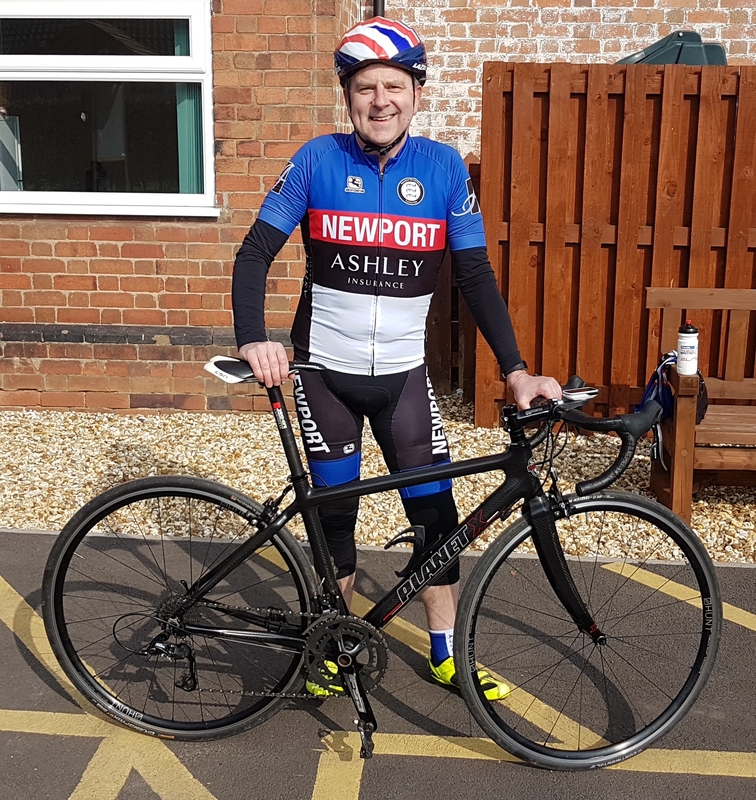 The quietly-spoken Wrekinsport rider revealed: “My power meter pedals were malfunctioning, reading low, so I thought I’d had a bad ride – until I got home. I can’t wait for some smooth Peplow“! 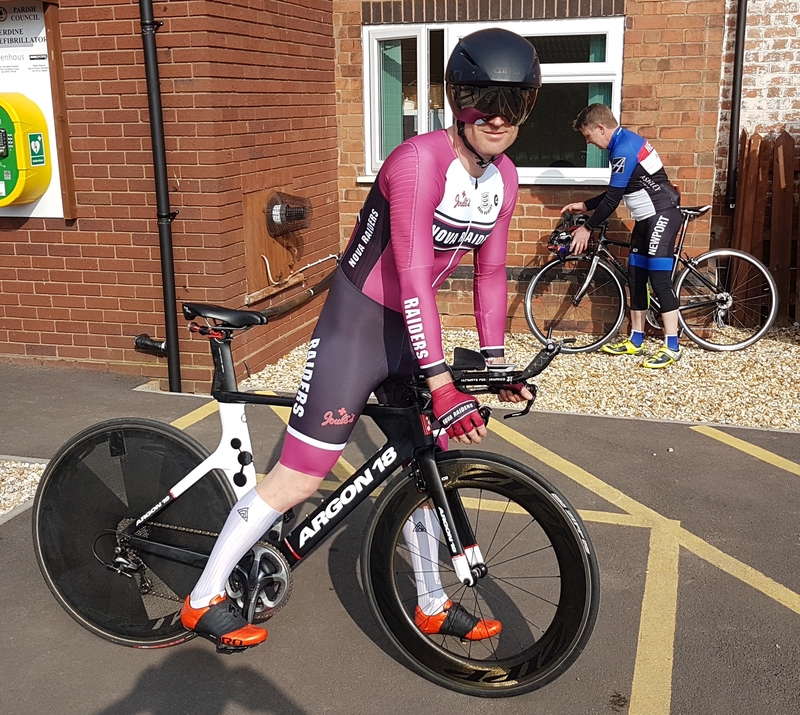 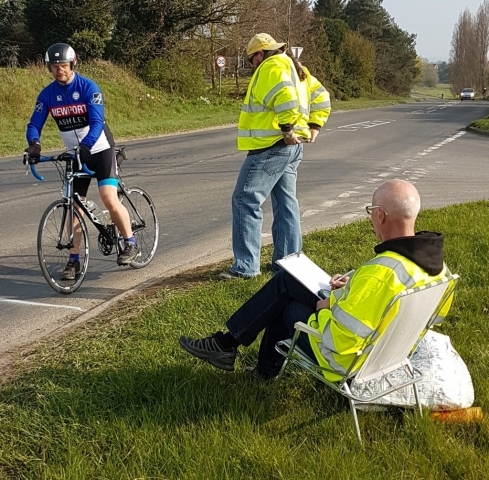 Middleton was riding his first ‘standard’ distance event of the season and despite the bright sunshine and warm temperatures that attracted a big field suffered in the wind like many others. 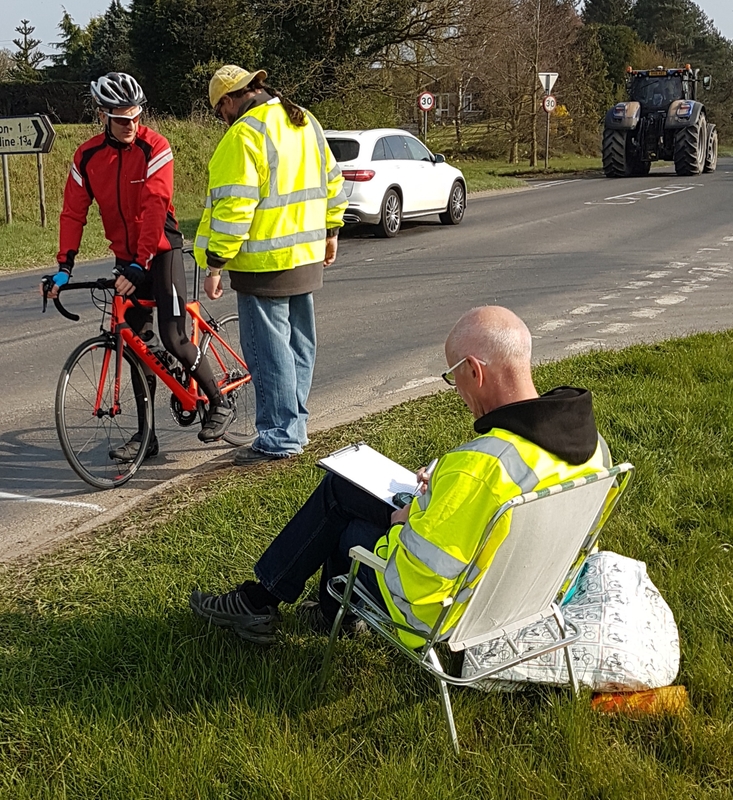 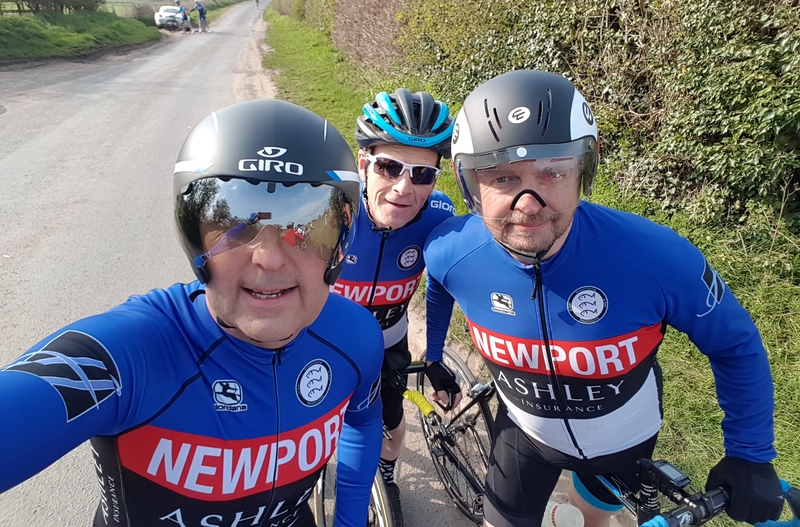 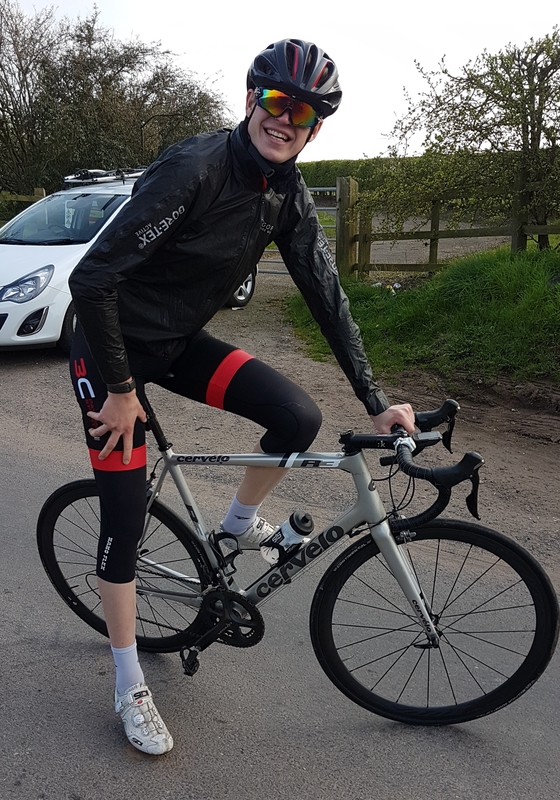 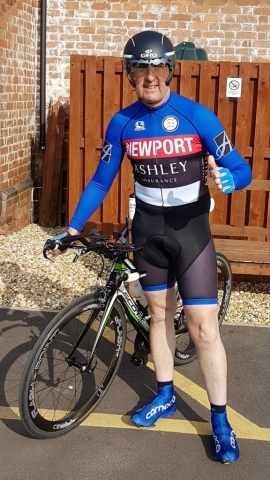 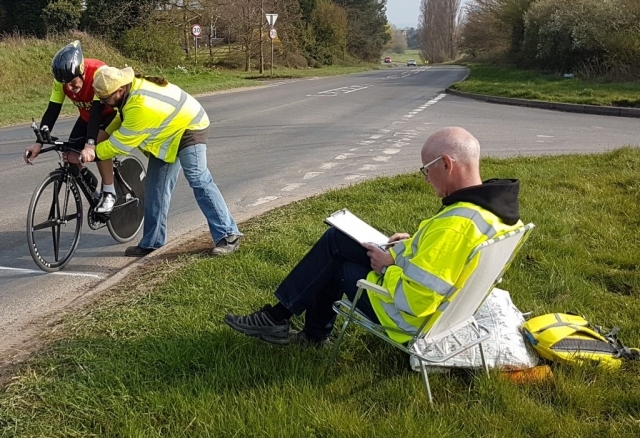 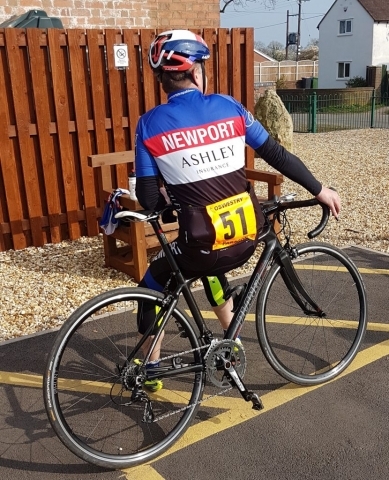 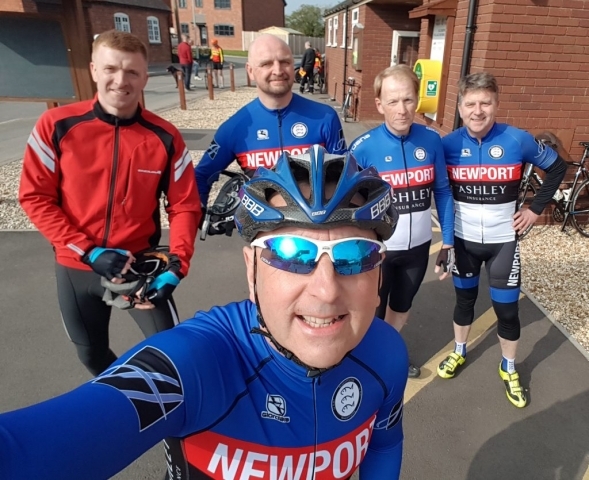 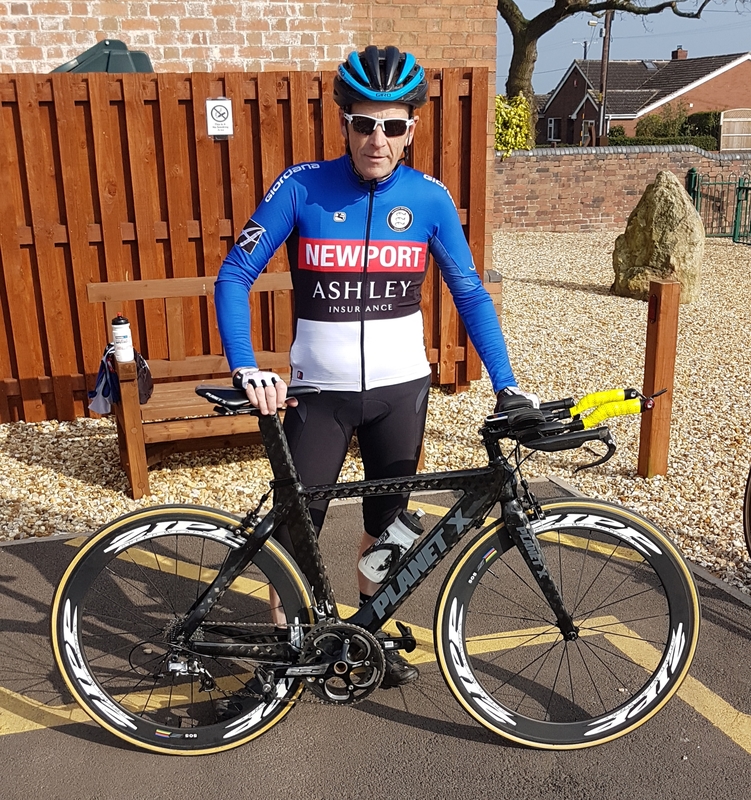 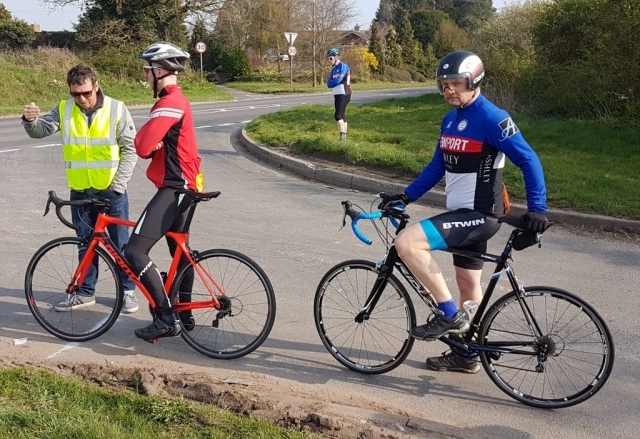 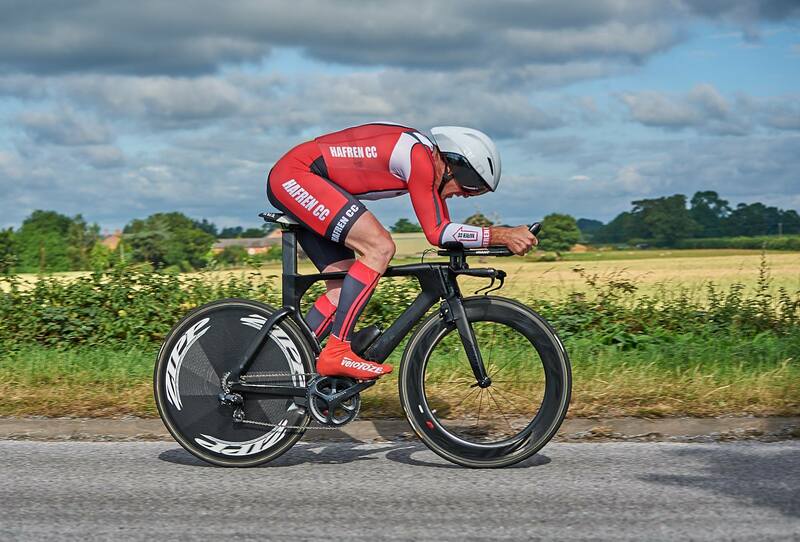 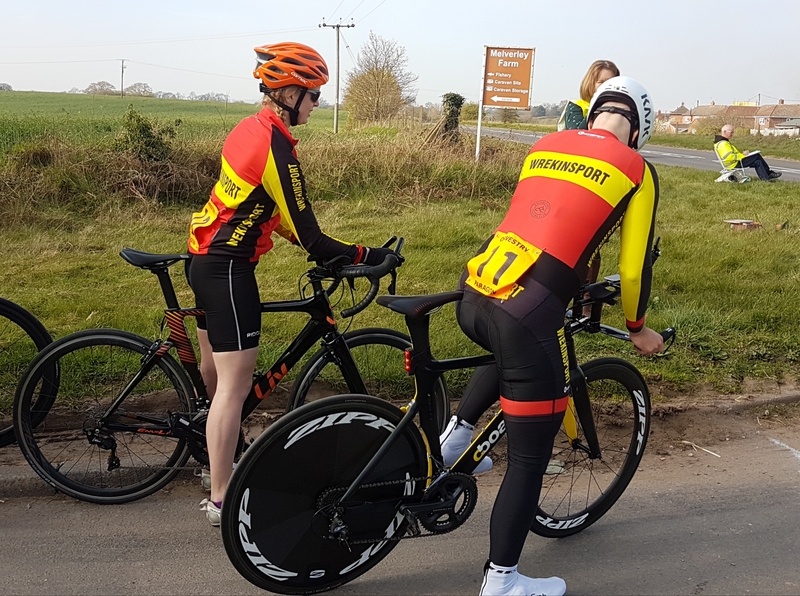 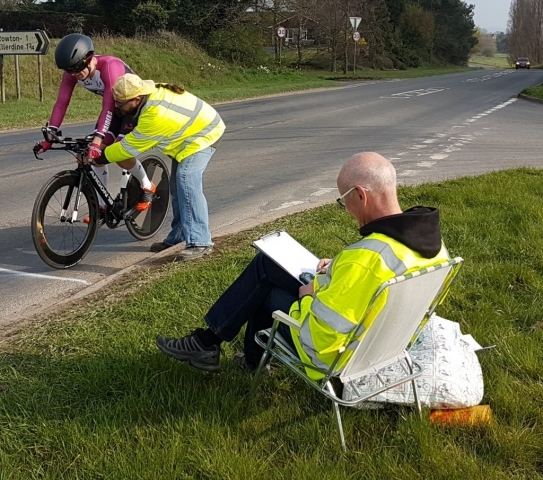 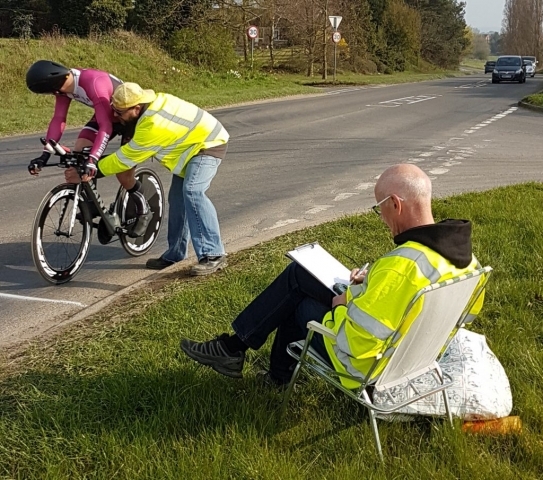 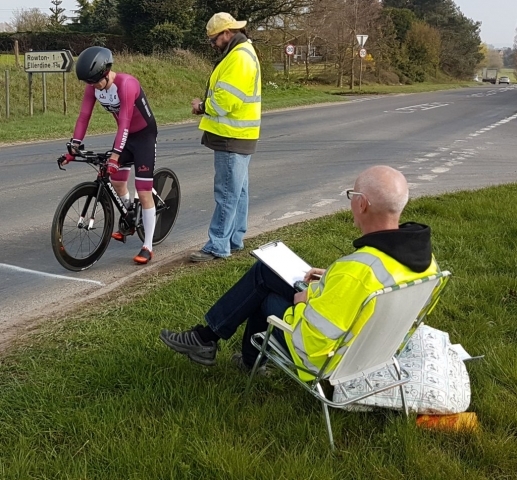 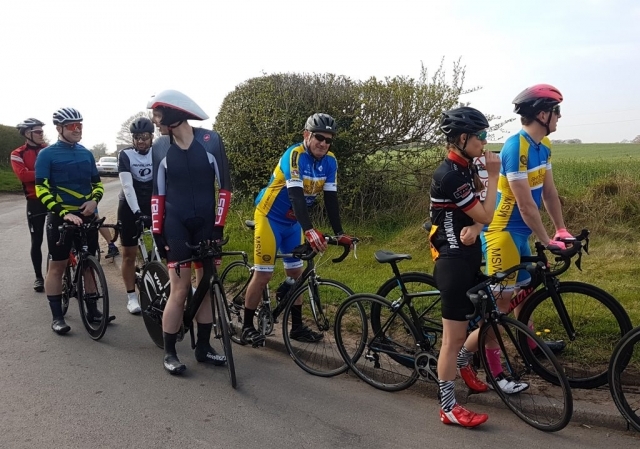 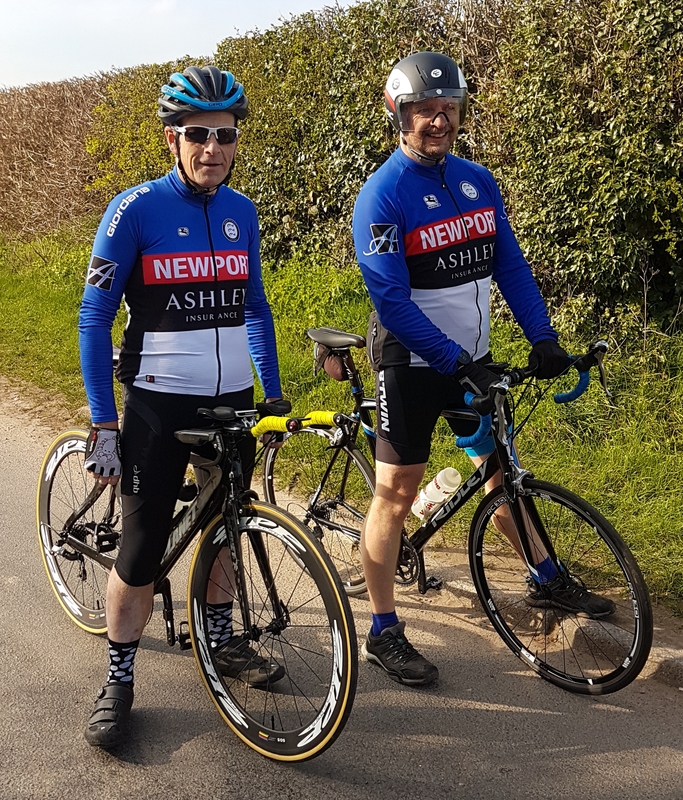 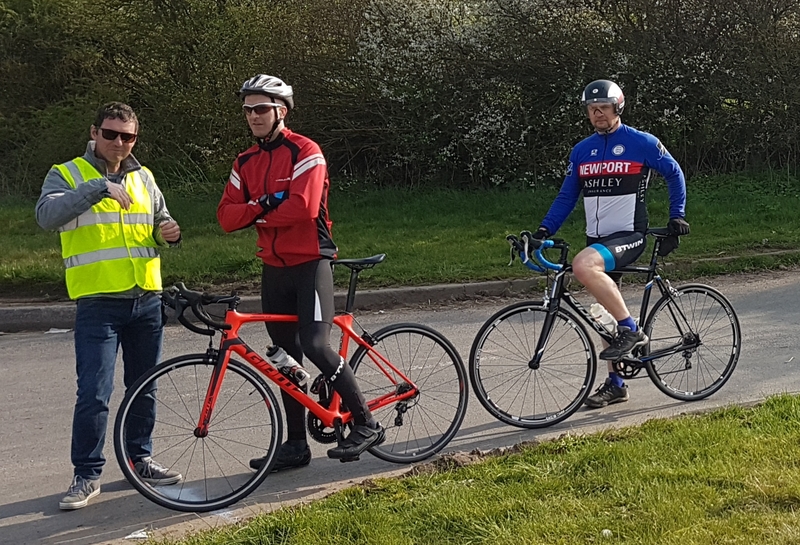 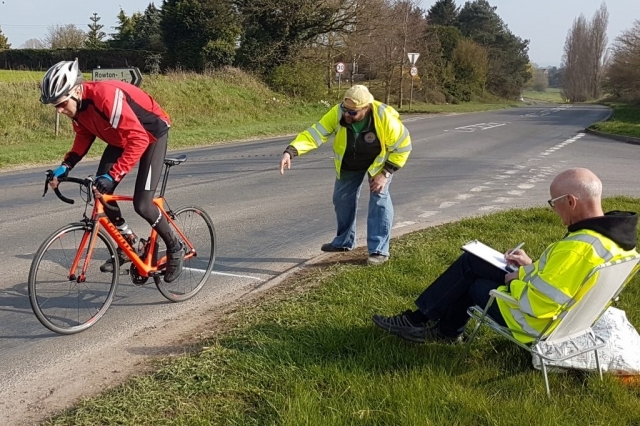 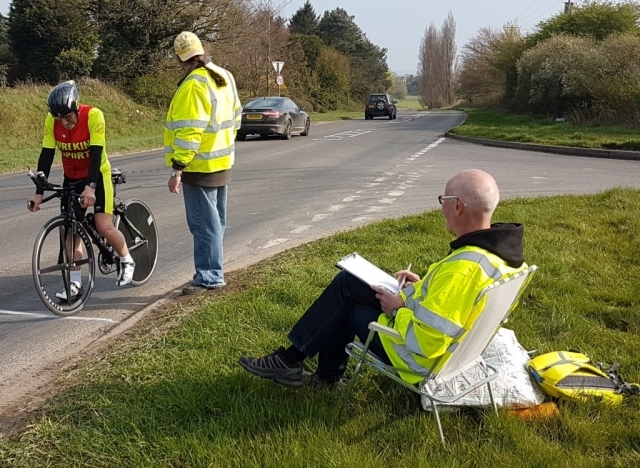 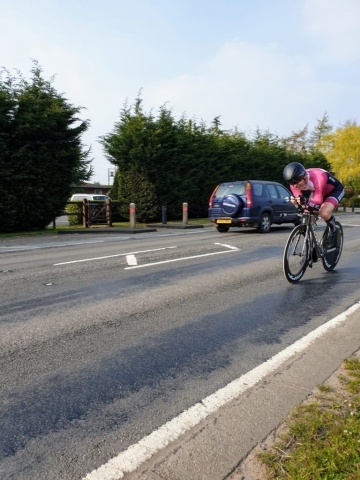 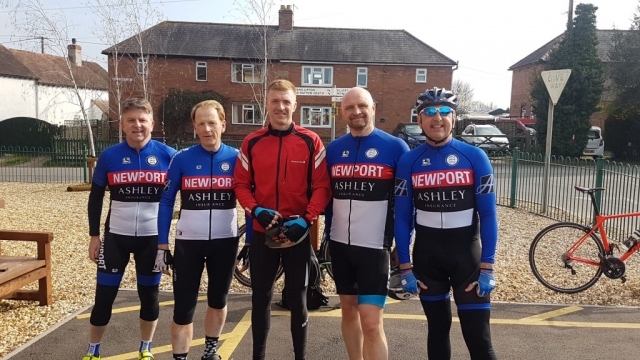 Nova Raider Middleton stopped the watch on 23:10, 8 seconds ahead of SCCA Private Member Ollie Atkin and was pleased with his efforts and had kind words for the rider that beat him, stating: “It was great to get the first ten out of the way. 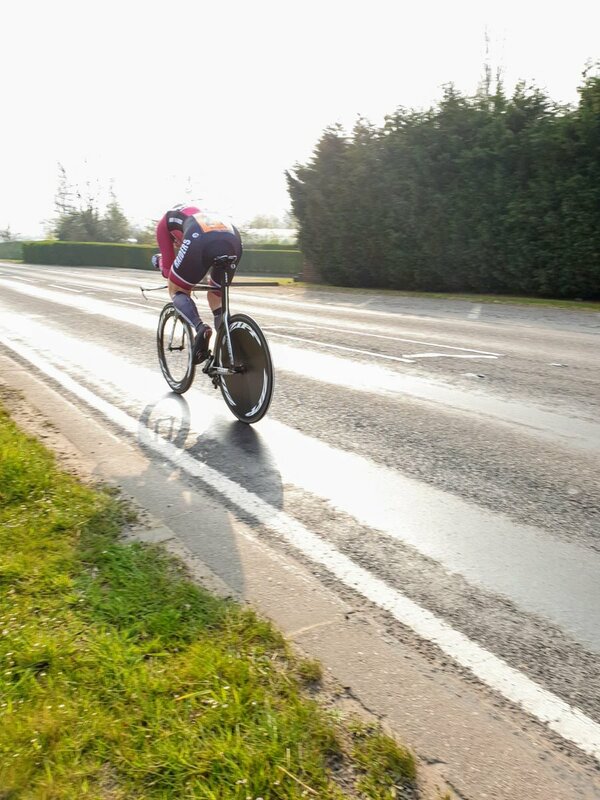 Tough out, tough back. However, great to catch up with everyone. 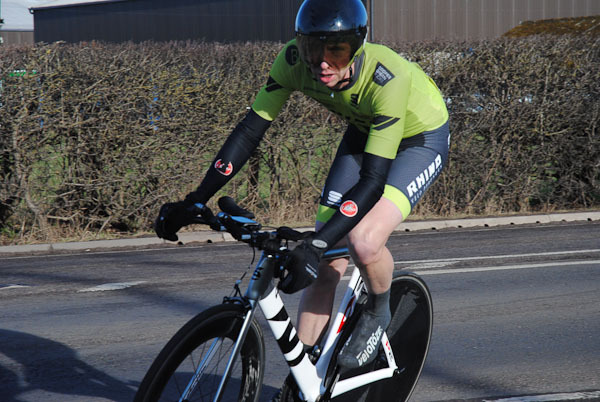 Well done to Chris Halford for taking the win“. Middleton holds the Overall runner-up spot in the early days of this Championship four points off the surprise leader Ollie Atkin who took third spot on the day in 23:18. 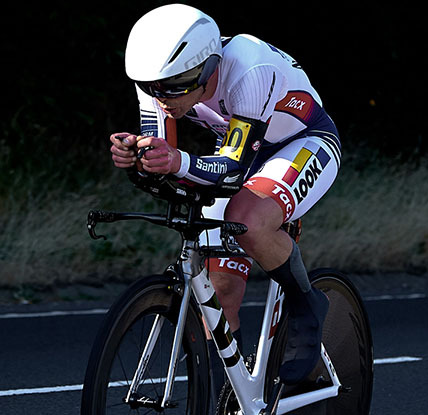 This performance is all the more impressive with Atkin riding a road bike, typically a disadvantage in a time trial. 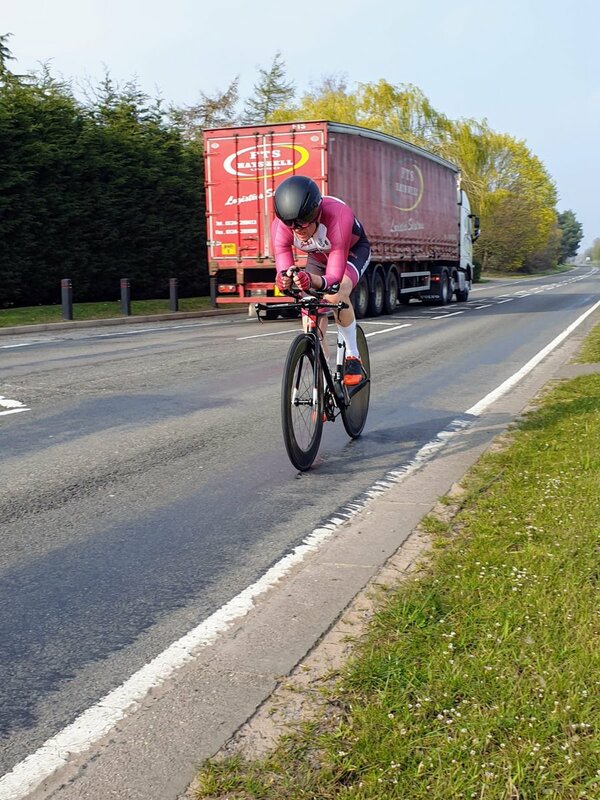 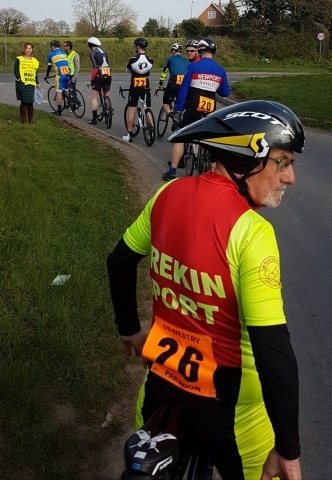 Atkin’s post-race comments echoed this: “The flat course with headwind out, tailwind back was always going to be a day for the TT rigs to prosper, so I had my work cut out on the roadie! I gritted my teeth into the wind, made the turn, held onto my tangible assets and stomped for home. Pleased with third at this popular and well run event! 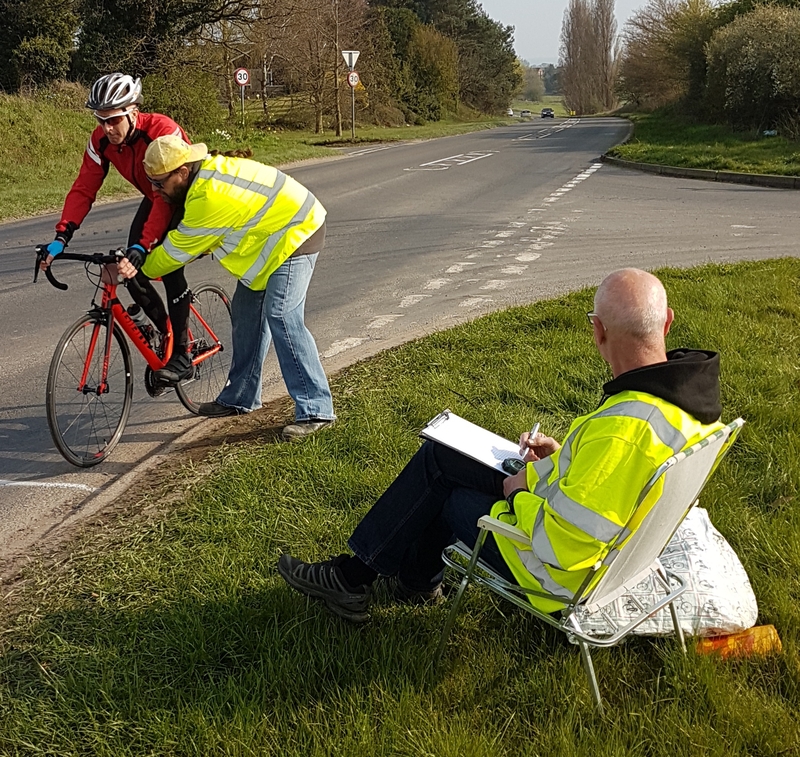 Thanks for the organisation and marshals“. 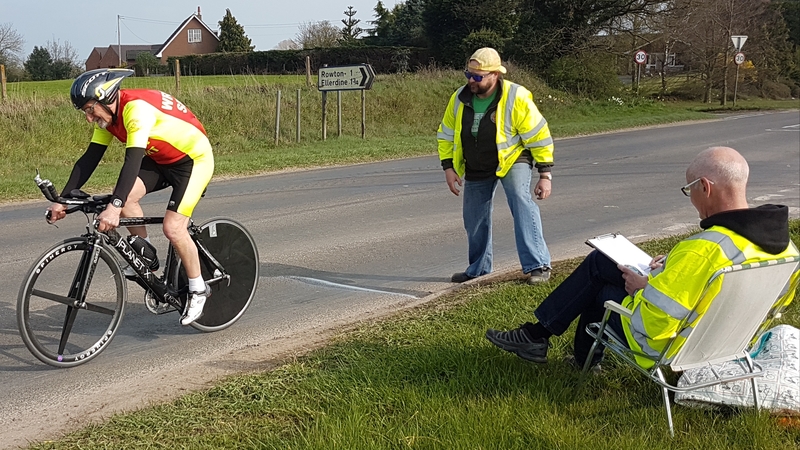 Halford wasn’t finished there as he took the win in the Veteran’s category as well with a fine +4:54, 19 seconds ahead of Deb Hutson-Lumb who had a top afternoon’s racing after winning the Women’s race in 24:46, 1:40 ahead of first-timer Natalie Brooks of Paramount CRT who recorded an excellent 26:26. 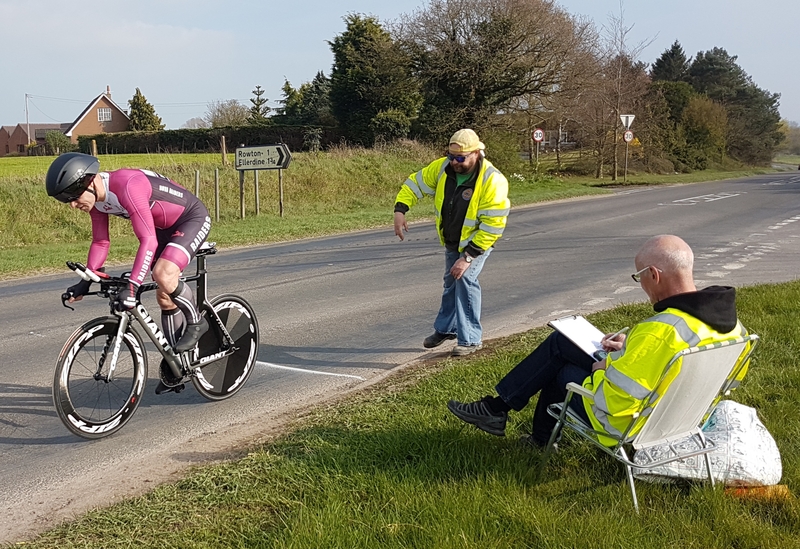 Hutson-Lumb was pleased with her race, commenting: “My first time trial of the season went well despite a fight with the headwind on the pavé. 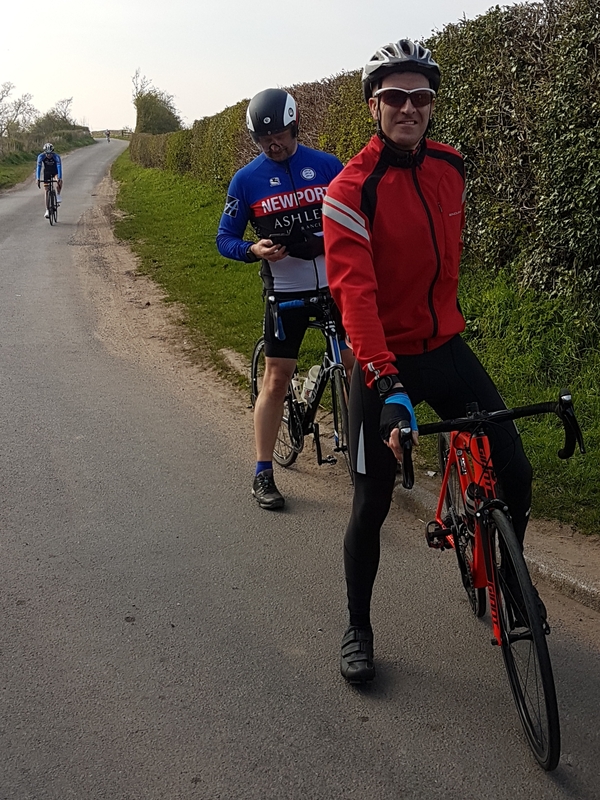 Great fun coming back with a tailwind though. 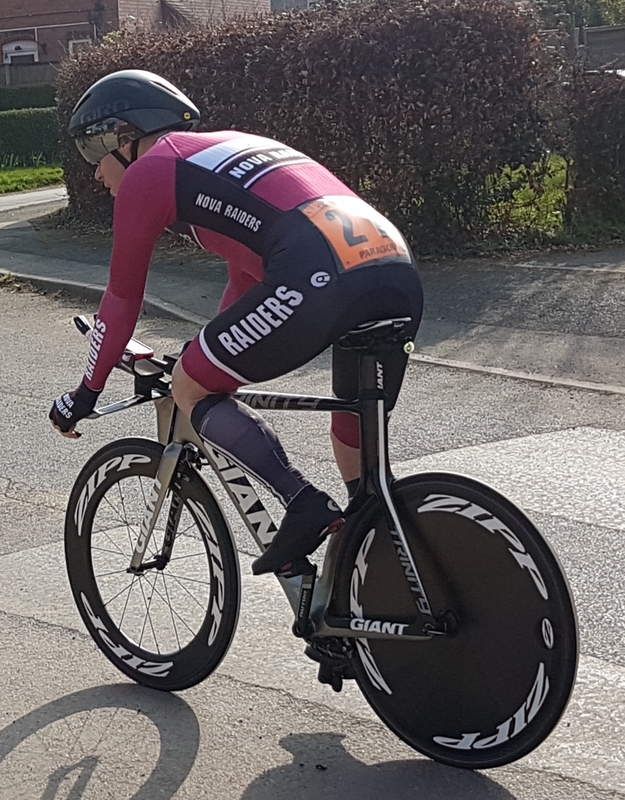 I was pleased with my time and I’m looking forward to the rest of the season. Thanks to everyone who helped run the event“. Hutson-Lumb pushed Nova Raiders’ team mate Dean Dovey into third spot in the Veterans competition with +3:48, as he finished just one second behind Atkin to grab fourth overall in 23:19. 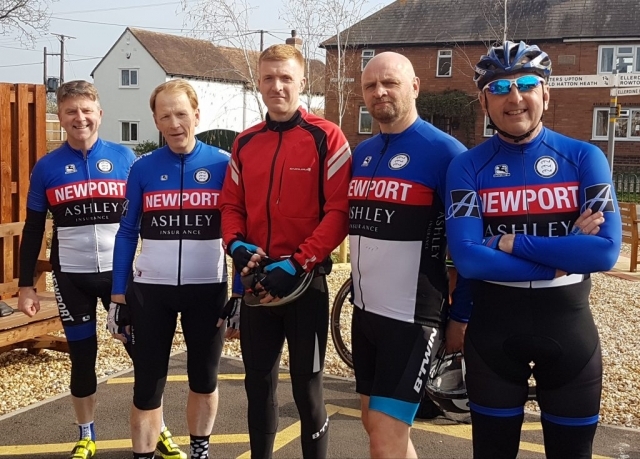 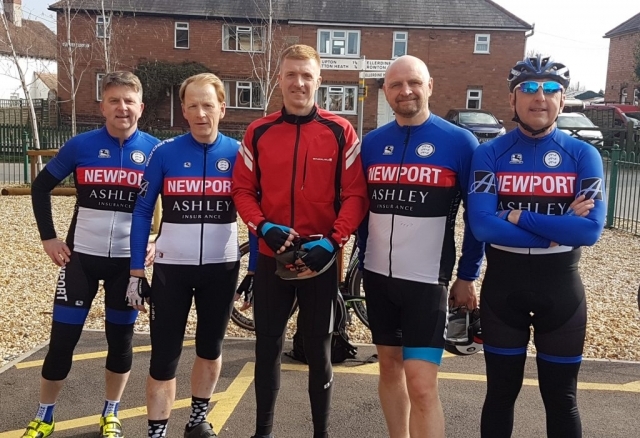 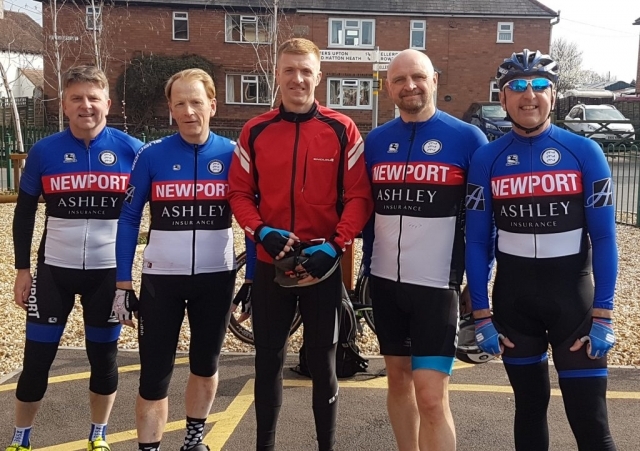 Dovey enjoyed his first experience of the Waters Upton course despite the failing surface, stating: “A nice afternoon for the race and an excellent turn out. 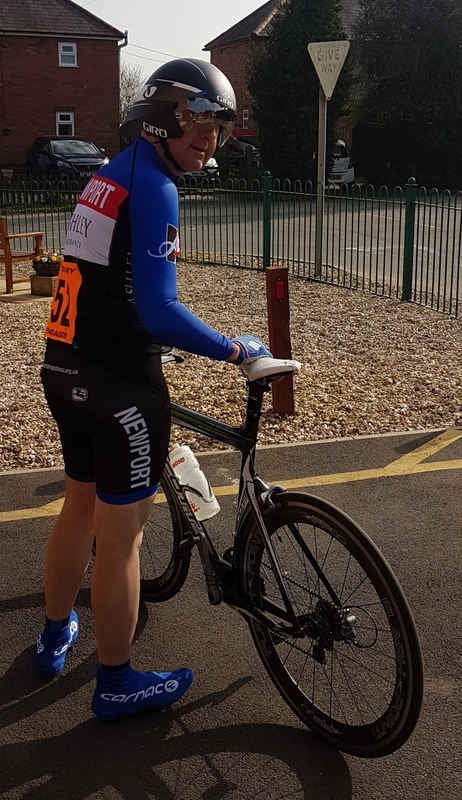 Head wind out and the Peplow surface soon sapped the legs, but I’m happy with third Veteran and fourth overall. Thanks to organisers and volunteers another well run event“. 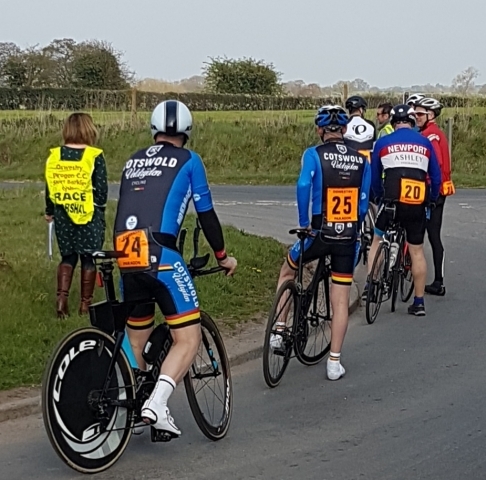 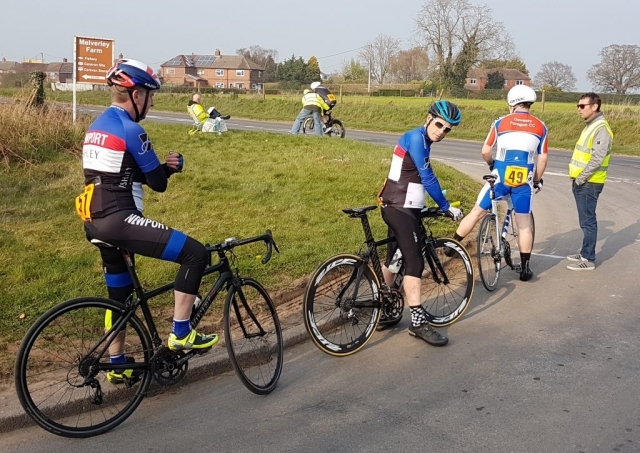 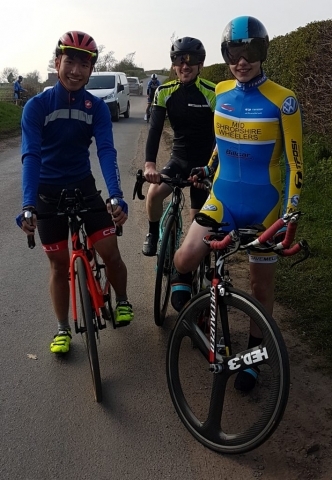 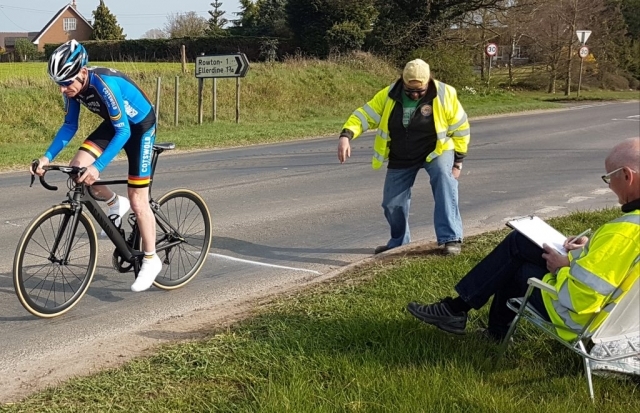 There was another single second back to fifth overall with 15 year-old Henri Bedford turning a fine pedal to take the keenly contested Junior win in 23:20, 15 seconds ahead of Mid Shropshire Wheelers’ Ronnie Tse. Bedford was just nine seconds behind his personal best recorded at the end of 2018, a great place to be with a long season stretching ahead which can only see further improvement. He stated: “A great turn out. 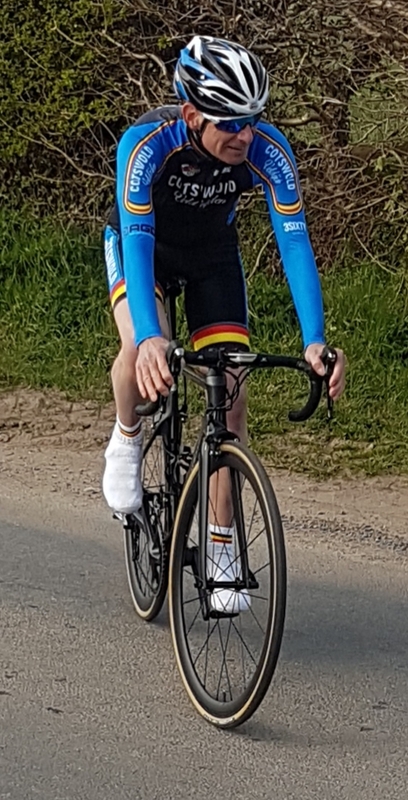 I enjoyed the first competitive ride of the season. 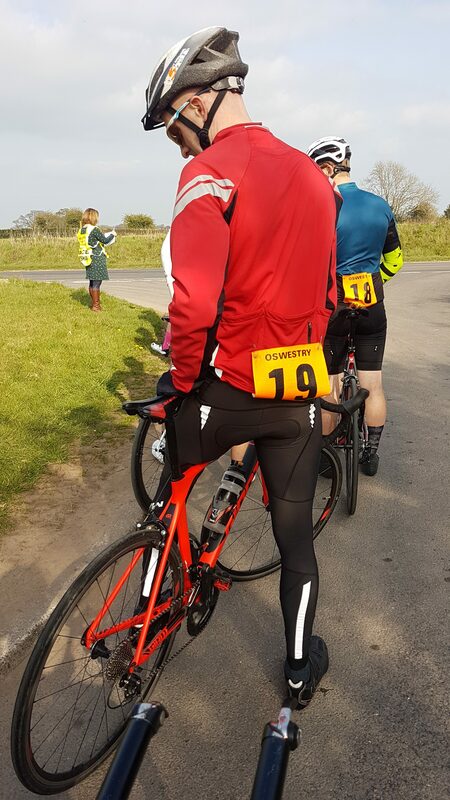 Glad to see the back of the terrible surface and looking forward to riding the route again once finished. Well done to everyone“. 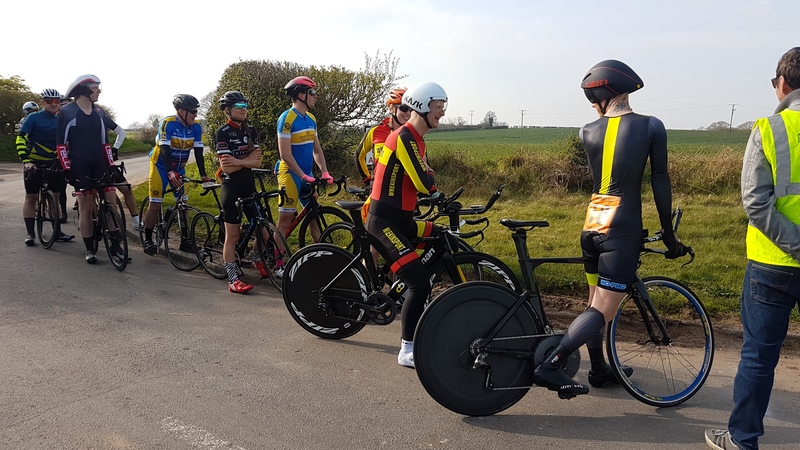 Round 3 of the SB Sports Injuries Series takes place on Saturday, 6th April at 3pm. With the normal Waters Upton – Hodnet course out of action due to road works at Peplow the D10/3 Cold Hatton – Shawbirch course will be in use. 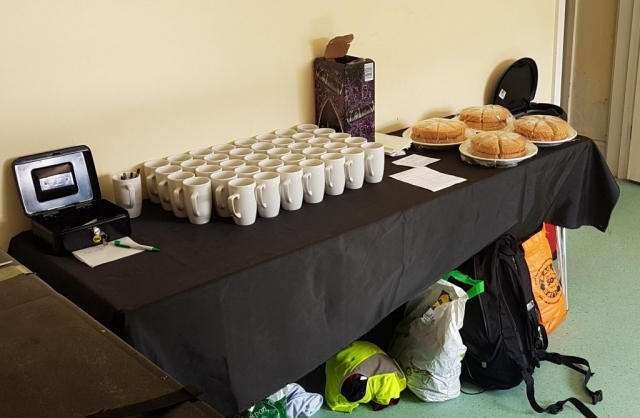 HQ remains Ellerdine Village Hall, sign on from 2pm.